Bare with me. I don’t know how long this review is going to be or even if it is going to be any good. 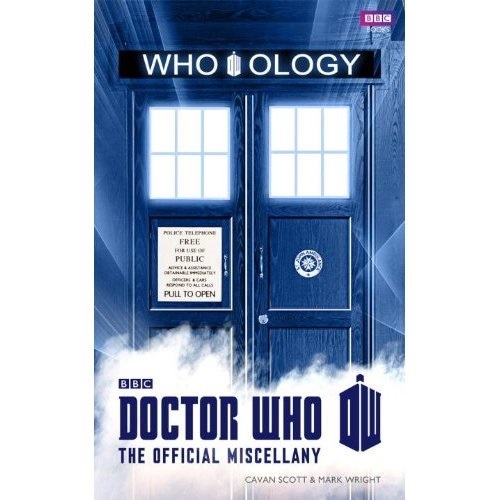 Who-Ology is the latest BBC Book about one of the most successful Sci-Fi TV series ever: Doctor Who, which celebrates its 50th Anniversary on November 23rd, 2013. Covering every episode up to The Snowmen, the 2012 Christmas episode, and every Doctor since William Hartnell, it’s a comprehensive guide to the world of Doctor Who, featuring and including profiles of Doctor 1 to 11, every companion and important character and their actors who portrayed them. The book also tells you the 40 ways to destroy a Dalek and the galactic co-ordinates of the Shining World of the Seven Systems, Gallifrey. This book is a fantastic collectors item and, with help from a parent or guardian, can be read by child and adult fans alike. The book is divided into sections and flow very easily, making it difficult to spot where one section ends and another begins. This is not a bad thing though and is actually fantastic, making it very readable and very easily. This book is great for younger fans such as me who might not know too much about the old series and old doctors and features some great information, facts and figures. The art work is only in black and white and the art style is simple but it is very stylish and very beautiful I think. It certainly provides some fantastic illustration to various information in the book though it can be tough to recognise some of the actors being depicted. This book delves into the legend and mythology of the TV series but also features behind the scenes information, including how the series and various aliens and a certain robot dog was created. The book also covers what the Doctor has been seen to have in his pockets, what the sonic screwdriver can and cannot do (including wood!) and facts and information on the Doctor’s other gadgets and the Who-Mobile. In places, it can be slower and does become just lists and lists of various actors, episodes, etc. It is great information but it does become annoying and I did skip over some of the lists or just scanned them for things of interest. Despite this, it is a great book and I enjoyed reading it cover to cover. I would highly recommend this book for Doctor Who fans to get caught up before embarking on the watching the second half of last series and the anniversary episode in November.